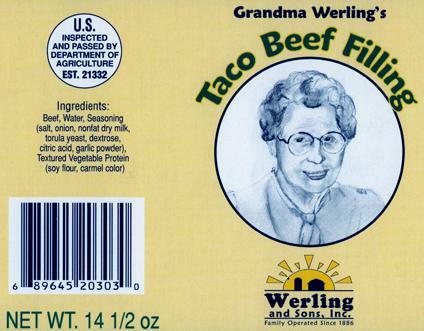 Bring home Grandma Werling’s delicious canned taco beef filling for the whole family to enjoy. 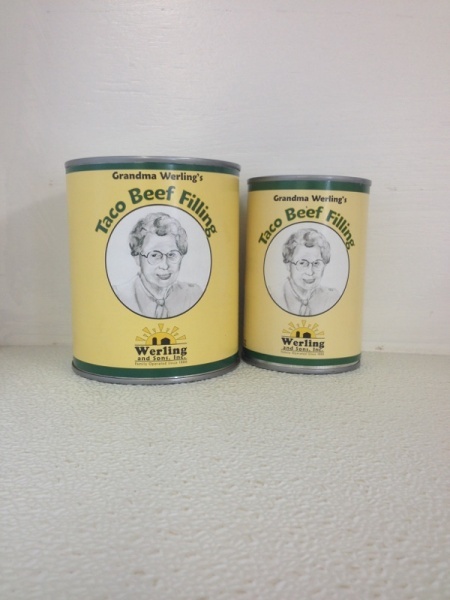 Our canned meats come cooked and meal-ready, simplifying your meal preparation. 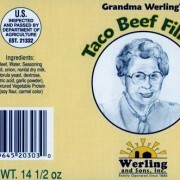 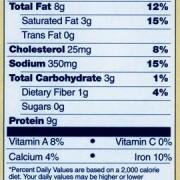 Enjoy the canned taco beef in 14.5 and 28 oz. 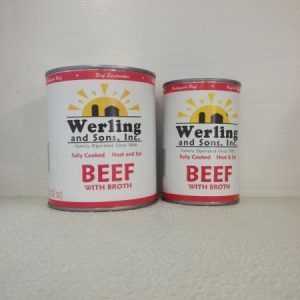 can sizes. 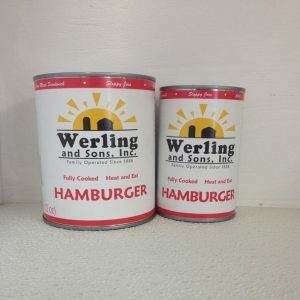 Pickup and delivery options are available.